Tech enthusiasts drool like Pavlov’s dogs at the mere hint of a new $1,000 phone from Apple or LG or Samsung, but in reality, many people don’t buy flagship phones. But even inexpensive phones should be great too, right? That is the theory behind Android Go — and earlier this year, Google unveiled a wave of phones supporting the platform. Here’s everything you need to know. Just as there was an Android Go Oreo Edition based on Android 8.0 Oreo, there is now an Android 9 Pie Go Edition based on the latest version of Android. At Google I/O, Google told us Android Go smartphones aren’t like Android One devices — they won’t receive timely updates, as it’s all dependent on carrier and manufacturer. The new Android 9 Pie Go Edition introduces a number of improvements that should improve the smartphone experience for Android Go users, but nowhere in Google’s blog post does it say the update will roll out to older Android Go devices — all of which were released just this year. With Android 9 Pie Go Edition, Google’s adding up to 500MB additional storage out of the box faster boot times, verified boot for improved security, as well as a dashboard to track and monitor data consumption. The overall interface of Android 9 Pie Go Edition largely remains the same, and the operating system will continue to support Google’s slew of Go-branded apps, like YouTube Go, Files Go, Google Go, and more. The company said more than 200 Android Go devices in more than 120 countries, and more than 100 manufacturers have plans to release an Android Go phone before the end of the year. These will likely be the first devices with Android 9.0 Pie Go Edition. We’ve reached out to Google about whether older Android Go phones will receive this update. Aren’t there lots of versions of Android already? Why build yet another? In developing markets like India and Brazil, smartphone infrastructure is the biggest barrier to the adoption of online services, not handset ownership. Hundreds of millions of people in India use Android phones — more than in the U.S. Google said — but they suffer from expensive, spotty networks that make it difficult to reliably access the web. To address that problem, in May 2017 Google announced Android Go: A new platform for bandwidth-optimized apps. In addition to emerging markets, Android Go benefits many U.S. users as well. At Google’s 2018 developer conference, Google I/O, the tech giant announced the U.S. is the second largest market for Android Go devices. In fact, 25 percent of the 300 million entry-level smartphones currently in the market are in the U.S.
Android Go was designed from the get-go with slower, low-memory devices in mind, Google said. 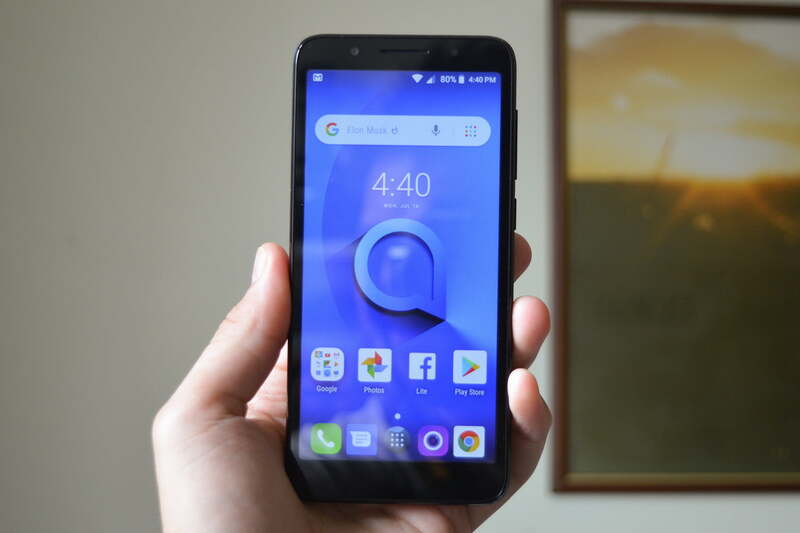 It ships on Android smartphones with 1GB of RAM or less and exposes device-level connectivity settings to internet subscribers. Carriers can let people top up their data in their phone’s settings menu, and Chrome Data Saver — Google’s traffic-saving tool that uses proxy servers, compression, and machine intelligence to cut down on the amount of data consumed by web pages — will be switched on by default. When do the first devices arrive? Google took the wraps off of a number of phones at Mobile World Congress 2018, including a few that we didn’t expect to see. Some companies also teased that they would be releasing Android Go phones at some point in the future — like Huawei, which said at the show that it would bring an Android Go phone to “all major emerging markets” in the near future. As far as specific phone models go, we saw a few of them. For starters, the Alcatel 1X was released as one model in Alcatel’s lineup. We also met the Go-powered ZTE Tempo Go, and saw Nokia introduce the Nokia 1 — a $100 smartphone that is perfect for Android Go. There is also the Micromax Bharat Go, and the General Mobile GM8 Go, along with plenty more that are now available in more than 120 countries. Google has released a spate of Go apps over the past few months. These Go apps are smaller, stripped down versions of the original counterpart. There’s Maps Go, Gmail Go, Gboard Go, YouTube Go, Google Go, Google Assistant Go, and more. Many of these apps will be pre-installed on Android Go phones, but there’s also an area in the Google Play Store that will highlight “Lite” apps that are ideal for low-powered smartphones, like Twitter Lite. Updated on August 15: We’ve added information about Android 9 Pie Go Edition.